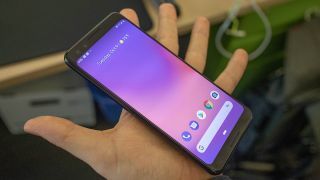 Google has been carrying out trials of its upcoming Pixel 3a and 3a XL in India, according to a report by Roland Quandt. The two phones have grabbed all the eyeballs from quite some time now and it is expected that an announcement will be made soon. The authenticity of the two Pixel phones was confirmed after the name “Pixel 3a” popped-up on the Google Store just days back. According to the tweet by Quandt, the Pixel 3a and Pixel 3a XL will be launched at fairly lower prices than their prices in Europe and the US. The post also reveals that at the time of importing, the Pixel 3a was valued at $300 while the Pixel 3a XL had a tag of $350. These prices could just be the import rates and it is possible that the phones launch at higher prices than what’s been quoted here. Recently, the Pixel 3a and 3a XL were certified by the Infocomm Media Development Authority (IMDA) Singapore. In addition, the phones also surfaced on Google Play Developer console with a list of system features which includes the header “Pixel_2019_MIDYEAR_EXPERIENCE”. Considering we didn’t have a timeline for the impending launch of the mid-range Pixel phones, the “midyear experience” hints at a June or July launch. The Pixel 3a is expected to feature a 5.6-inch, Full HD+ (2220 x 1080 pixels) OLED panel while the 3a XL may have a 6-inch OLED screen. Being mid-range smartphones, the 3a is rumored to be powered by Snapdragon 670 chipset backed by 4GB of RAM and 3,000mAh battery. Pixel 3a XL, on the other hand, is reported to be powered by Snapdragon 710 with 4GB of RAM and 64GB storage. Both the phones will run on Android 9.0 Pie out-of-the-box. There have been rumours that the two mid-range Pixel phones will feature Active Edge, a 12MP rear and an 8MP front-facing camera. If the cameras on the mid-range Pixel phones are even close to their elder siblings, the Pixel 3a and 3a XL could prove to be great camera phones in the mid-range smartphone segment.